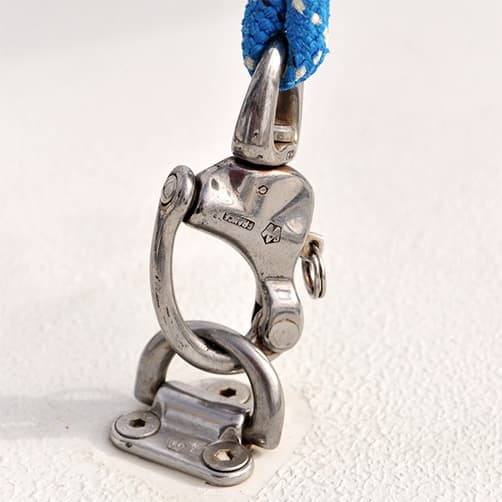 Stainless steel snap shackle with swivel eye to reduce the risk of tangled and knotted ropes, quick release plunger pin, designed for use in highly corrosive marine environments. 90mm Snap Shackle available in TA6V grade titanium. Swivel eye snap shackle, available in either high resistance 17.4PH stainless steel and light weight titanium TA6V, to a high quality finish. 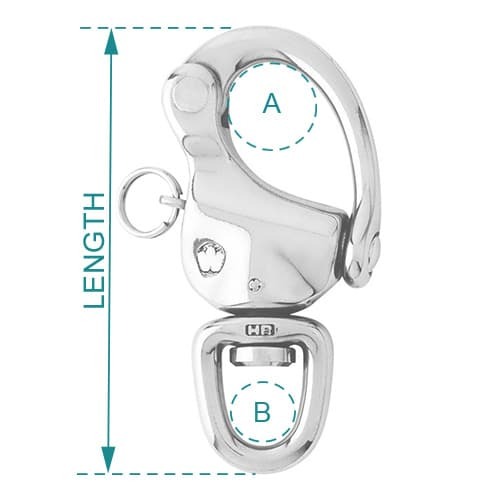 Full free rotation of the snap shackle thanks to the swivel eye. Quoted working and breaking loads.